From the 1950s, Acapulco was the main beach destination for travelers to Mexico. During the 1980s, Cancun took its position as the favored destination. However, Acapulco still remains a popular resort area. As it is only three and a half hours by car from Mexico City, it is a popular weekend getaway for many Mexico City residents. The city was discovered during 1566, although it is stated that it was inhabited during ancient times. It was the main colonial trade port with Asia, regularly receiving shipments from both China and the Philippines. The city was regularly attacked by pirates and this prompted the erection of the Fort of San Diego during the 17th Century. The fort was reconstructed during 1776. The free highway which connects the city to Mexico City was completed during the 1920s. The super highway, ‘Autopista del Sol’, was completed during 1955 and this is what brought many visitors to the area. The city is split into three areas which surround the Bay of Acapulco. To the west is the old city with its market and Zocalo. The central and east sides are known as Golden Acapulco as it is the main tourist part where hotels and nightclubs can be found. The newer southern section of the main bay, Diamond Acapulco, houses more of the top-end resorts. The Costera Miguel Aleman runs right around the bay area. There are a range of activities to keep you busy in Acapulco. You can take the time to watch the cliff divers at La Quebrada. There are sunset cruises which are very relaxing and a lot of fun. The Artesanias Finas de Acapulco has a wide range of handicrafts for sale, or you can simply disco the night away at one of the many discos in Acapulco. Mexico silver mining town, Taxco, is only two hours from Acapulco, by car. It is a colonial town with narrow cobblestone streets and whitewashed buildings. You can obtain a huge variety of silver items in the town at fantastic prices. If you intend going on day trips whilst holidaying in Acapulco, you should ensure that you have valid Mexican auto insurance. This insurance is mandatory if you intend driving on the roads in Mexico. It is easy to obtain it online or at the border post, however, buying Mexican auto insurance at the border is not recommended. You can purchase your Mexican insurance policy from this URL. The main reason for this is that they do not have the options that are available online and some of those options are extremely important, such as roadside assistance, legal assistance and bail bond assistance. Mexican car insurance policies also cost more at the border and you do not have the time to check on the reputation of the insurer. If you purchase online prior to your departure, you can do a full comparison of what is available and decide on the policy most suited to your requirements. 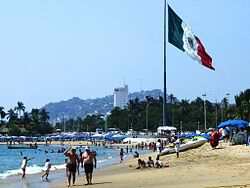 Acapulco is one of the most popular destinations in Mexico and offers visitors great weather. The area is warm to hot most of year. The rainy season runs from June through to October, with rainfall occurring mainly during the late afternoon or in the evening. Extending my Mexican insurance is never one of my worries. Since I buy my cover online, I easily visit any nearby cybercafé to extend it and print a copy. If you are less frequent visitor to Mexico and you probably spend just a few days on your trip, buying daily Mexico insurance cover is ideal for you. However, if you are a frequent traveler, that is the most expensive option. You would be better off taking an semi-annual insurance cover. 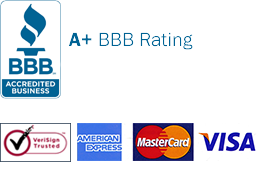 Before I found Mexican Insurance Store, I used to find it hard to get a reputable Mexican auto insurance provider with a star rating. Now I never have to worry about my self-drive forays into Mexico. The safest way to ride on Mexican roads is to be extra vigilant and obey traffic rules. Nonetheless, accidents do occur. To limit on your liability, confirm that your motorcycle is covered by Mexican auto insurance policy before leaving. 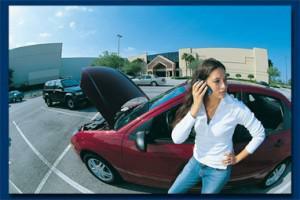 Get your coverage from Mexican Insurance Store. They make things easier to negotiate online and will give you affordable price. It takes time to plan, to organize and to keep things complete. But above all of these, Mexican insurance is the most important document to hand carry.